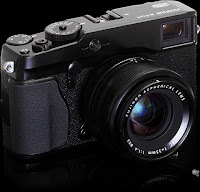 DPReview has a great preview of a cool retro-looking Fujifilm X-Pro1 digital camera. I love the look and the lenses. f1.4 35 mm fixed lens. Wow! But they are interchangeable too, so that's great. I looks very versatile and handy. And it's mirrorless, so almost no mechanical parts means it can potentially last forever. Slashdot once again has a real urgent but nerdy topic: Securing Android For the Enterprise. Android lacks a real native IPsec VPN client until Android 4.0 (ICS, Ice Cream Sandwich), which makes operating Android in an Enterprise environment a bit dodgy. iOS has fixed this a while ago largely because they wanted to be more attractive for business users and that has worked well. No manager still wants a Blackberry - like they used to - but they prefer iPhones and iPads. NeverWet has a coating similar to that seen on certain amphibians like frogs or lizards. It is so hydrophobic that water and even oils simply do not get a grip on the surface and slide off. Check the video on their site.